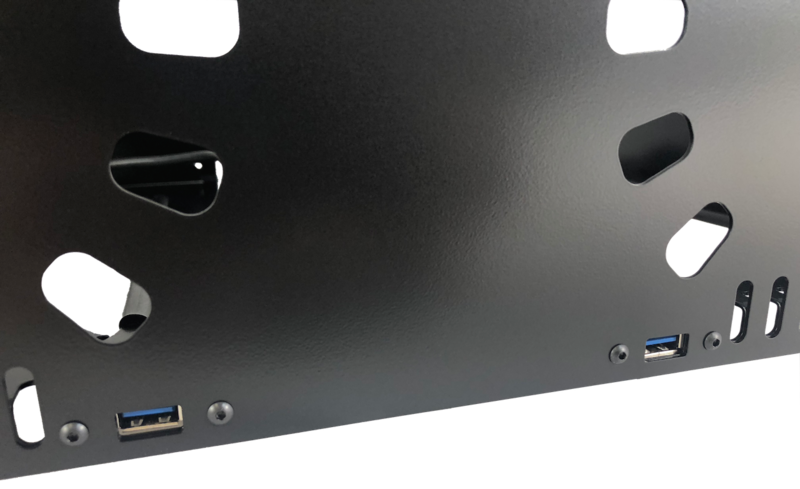 When USB cables are used, The Baffle plate attaches with the USB mounting screws. 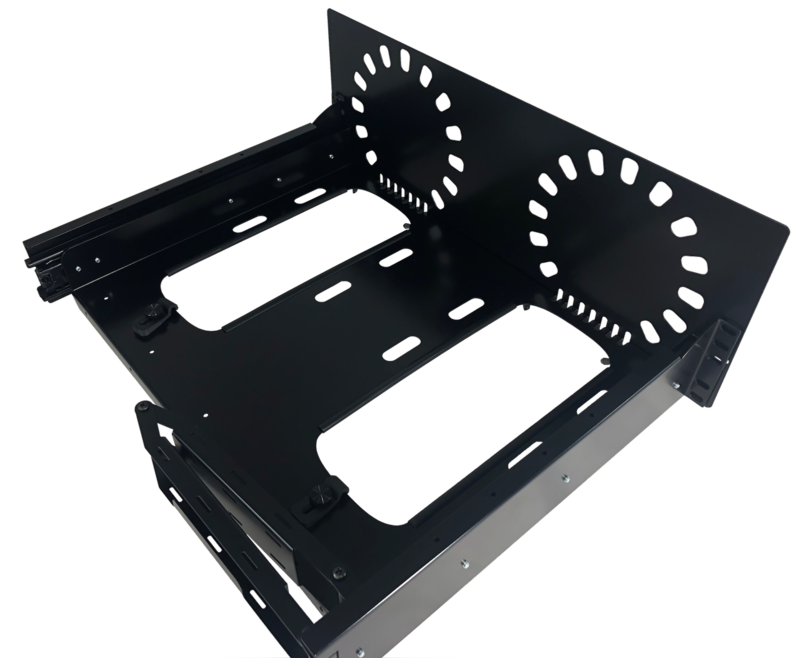 The MPR-BP is a baffle plate for the Mac Pro rackmount (MPR-2X) that does two things. Restricts Airflow to just the Mac Pro. Closes off the appearance and accesibility of the Mac Pro if needed. When ordered with the MPR-2X, it will ship with mounting hardware for user installation. This reduces shipping costs by keeping the box size to a minimum. It attaches using the mounting holes for the USB ports. All required hardware is included.